Some people may think the only difference between “Small Breed Puppy Food” and “Large Breed Puppy Food” is the size of the kibble. Actually, they are very different. Small breeds are fully-grown by about 1 year of age. 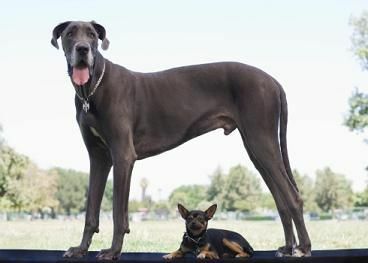 Large or Giant breeds may grow for up to 18 months. Because of the different growth patterns, large breed puppies need a different diet.